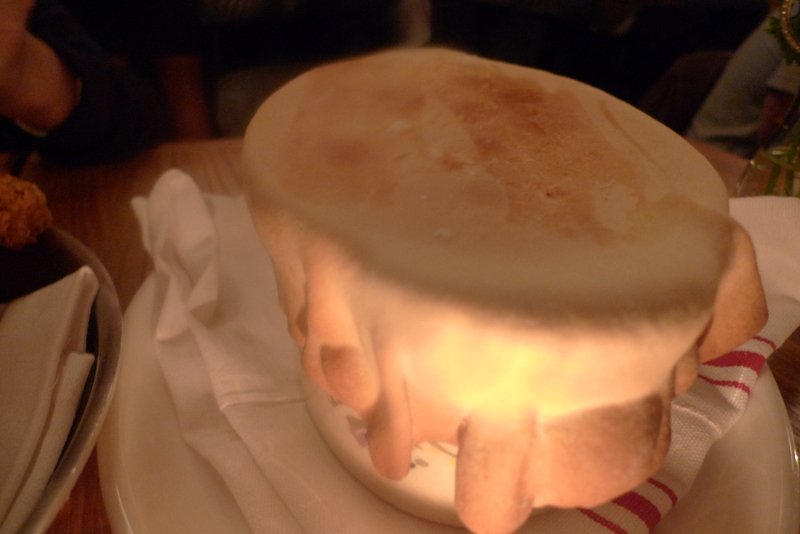 In late April, Andrew Carmellini’s The Dutch debuted its late night menu to the public, which was followed shortly after with its full dinner service. Breakfast, lunch and brunch service will be available soon. 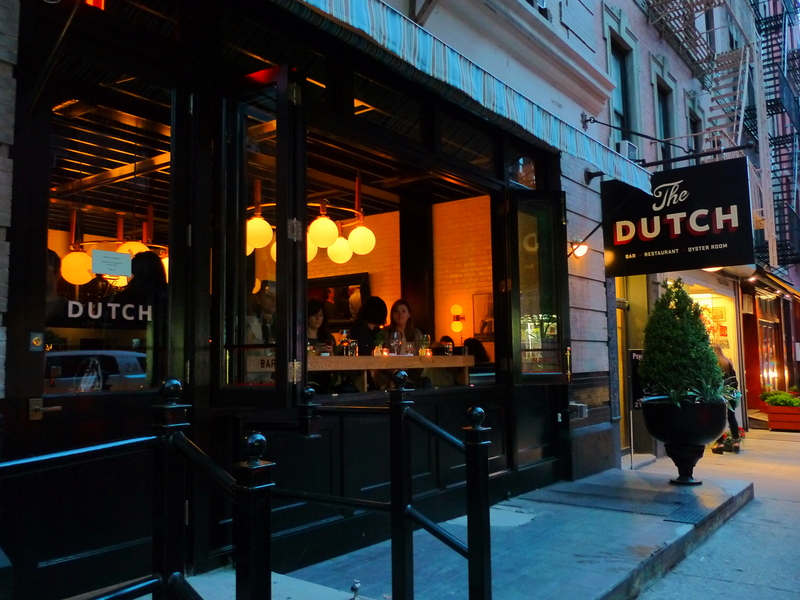 Within just a couple weeks of opening, The Dutch has already become a thriving neighborhood hot spot with lengthy wait times on par with Carmellini’s Locanda Verde in TriBeCa. I came with two friends on a Friday evening and we waited 1.5 hours for a table, and I have heard of similar wait times even during the week. 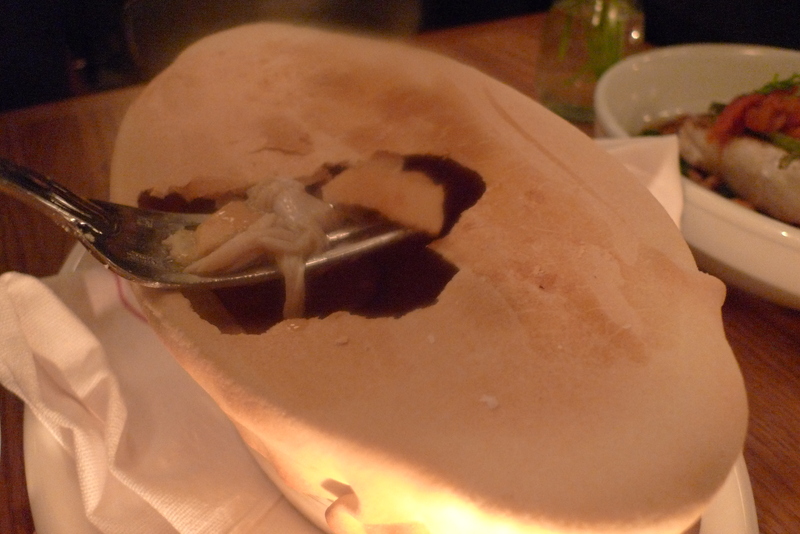 And like Locanda Verde, the food is completely worth the wait! After dedicating the majority of his culinary career to Italian (Locanda Verde, formerly A Voce) and French (early beginnings at Café Boulud, Le Cirque) cooking, Carmellini has finally realized his decade-long dream of opening an American restaurant. 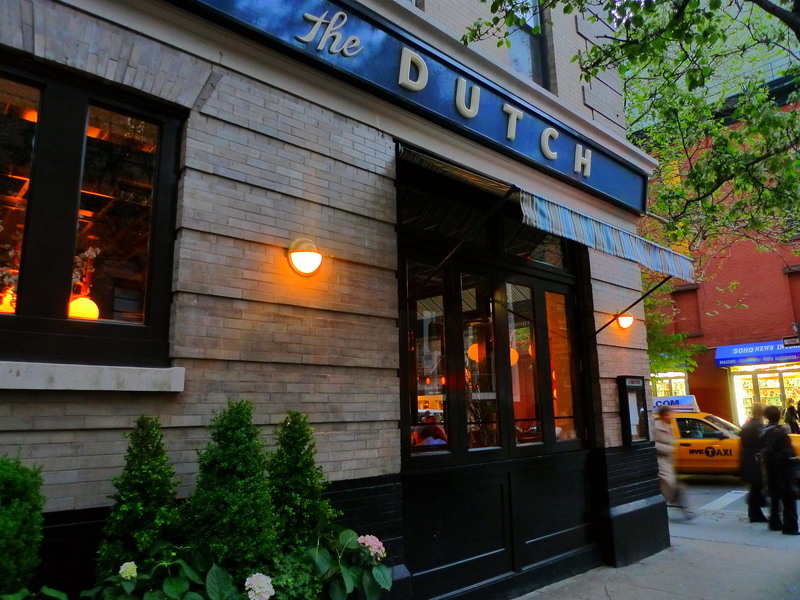 Despite the name, The Dutch is an American restaurant, bar and oyster room. The focus is on using fresh, seasonal ingredients to make the best homey comfort food, such as crispy fried chicken with a house-made hot sauce, savory pies, seafood chowders, and a variety of meat cuts. 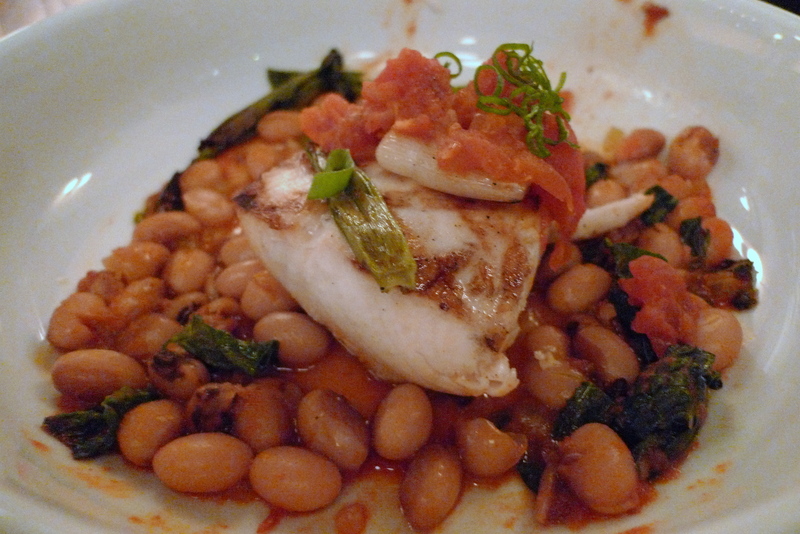 The restaurant draws its inspiration from local cafes, country inns, corner taverns, neighborhood bistros, seaside shacks, roadside joints, and old school dining halls. 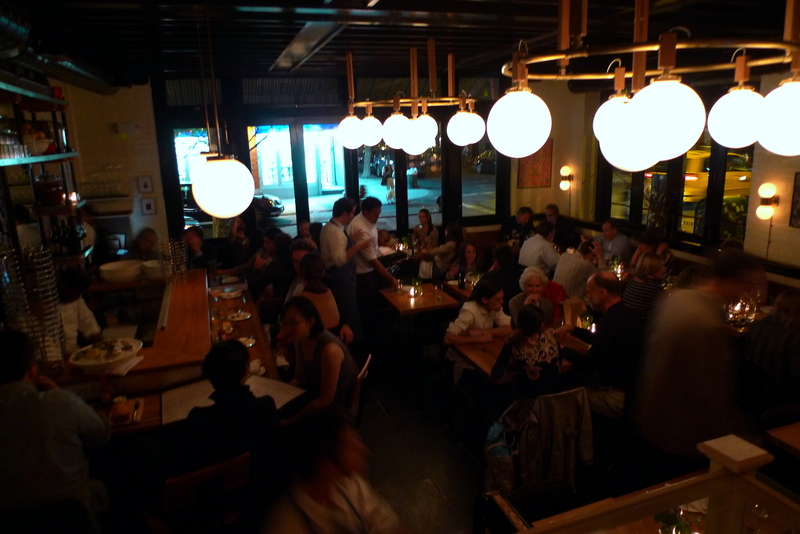 The space is well lit and inviting, and I love the open air windows that are so characteristic of New York springtime. 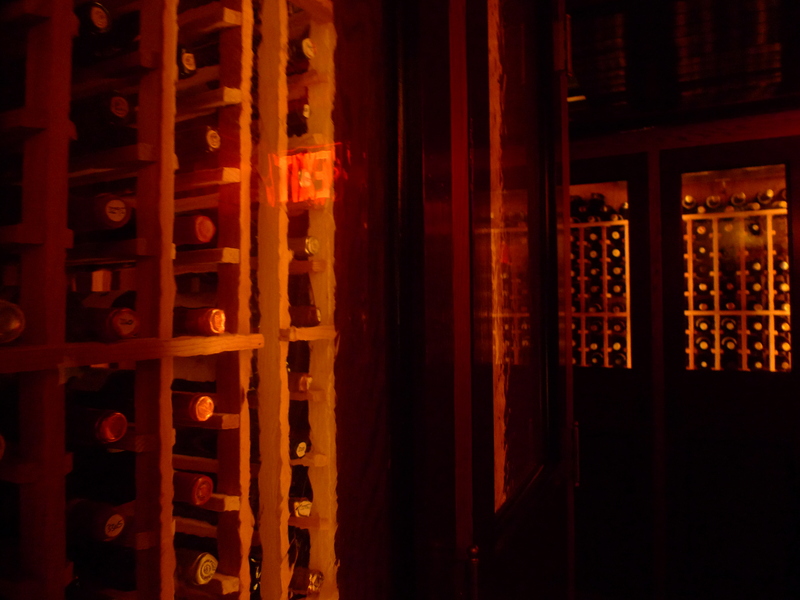 I had just come from oyster happy hour at Lure Fishbar before arriving for dinner here, and thus I decided to pass on the Oyster Room offerings. Next time, I definitely would love to grab a seat at the oyster bar and indulge in the oysters, prawns, crab claws, seafood ceviche, and caviar service on the menu. 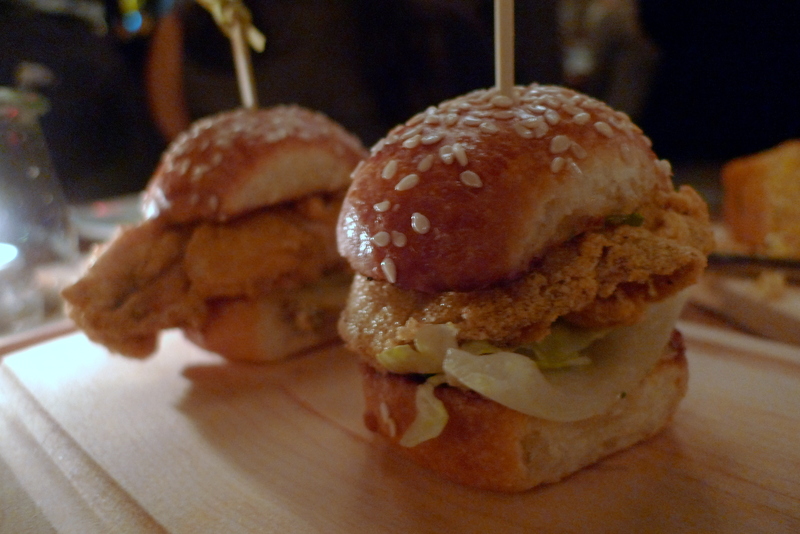 I did, however, order the fried oyster sliders which were absolutely incredible. 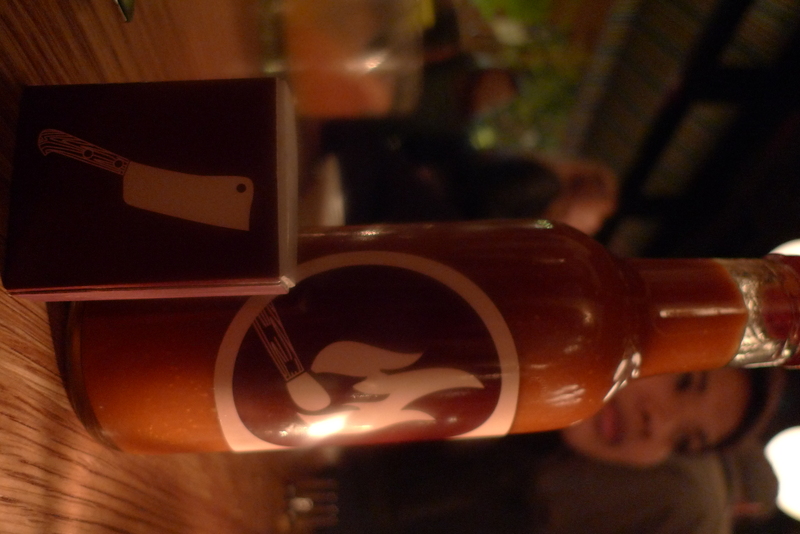 We ended up ordering another round of the Little Oyster Sandwiches, and I highly recommend you do that same! 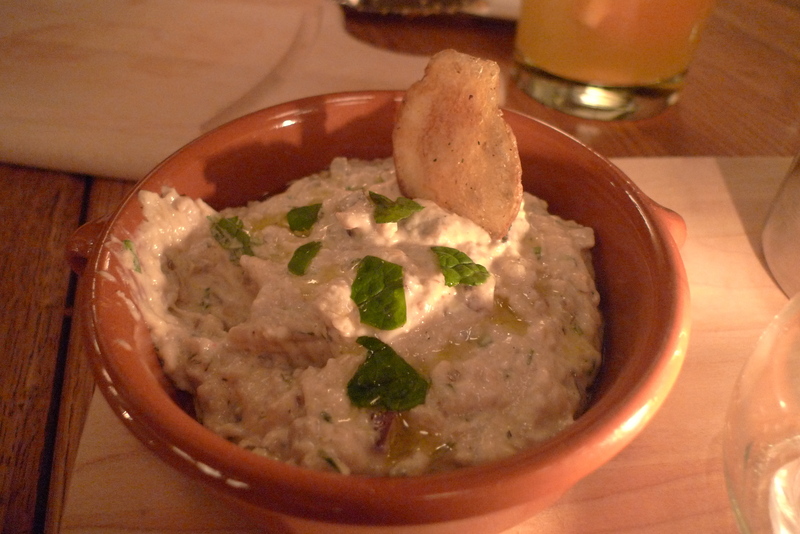 I also loved the eggplant dip with savory chips, along with the rabbit pot pie… total ambrosia. 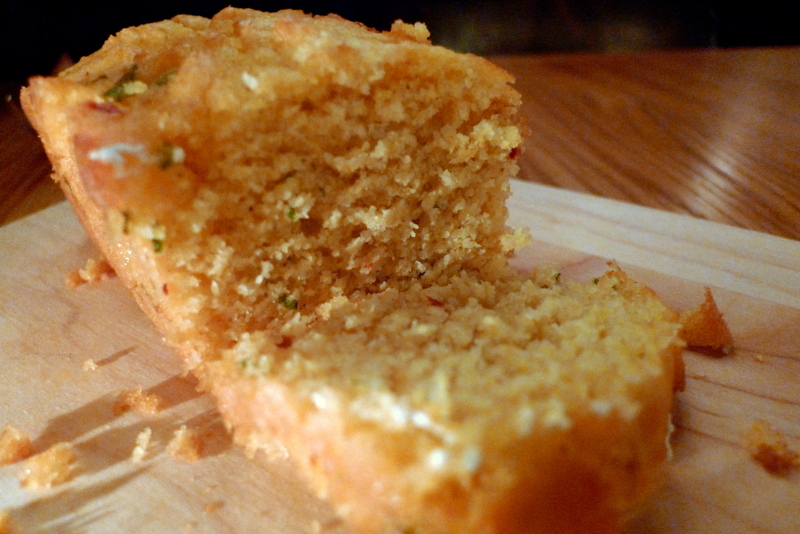 My favorite parts of the meal were all bread-related, such as the entire loaf of cornbread they start you off with. This just ruined every other restaurant’s boring bread basket with olive oil routine. And the honey-drenched butter biscuits served as a side to the fried chicken… oh my sweet sticky goodness, those were gone in seconds. 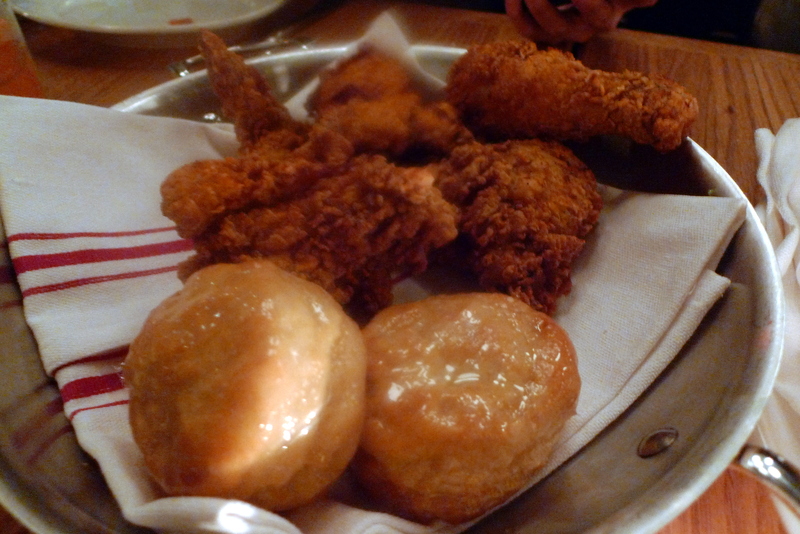 We basically ordered the fried chicken solely for the biscuits, and I wonder if they would just serve those à la carte? 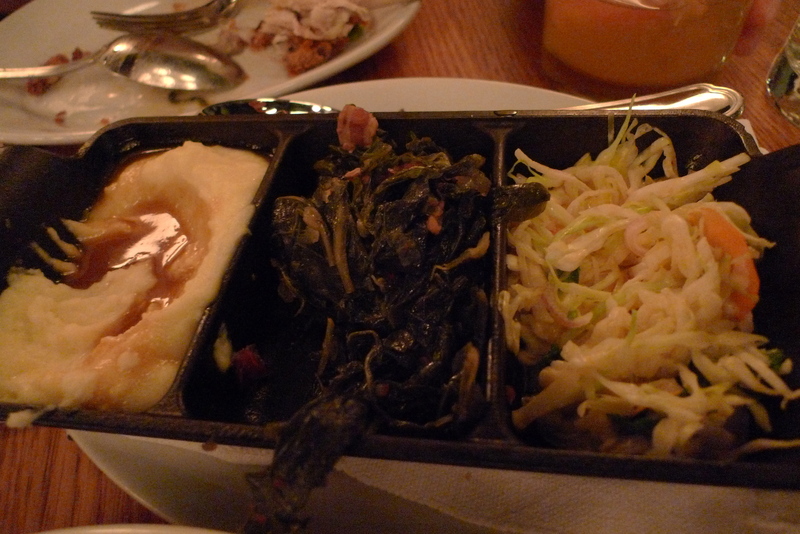 I mean the chicken was good, but these biscuits obliterated any other capacity for tasting. I can’t wait to return as there are tons of menu items I have yet to try, but I think I need to space out my visits as The Dutch doesn’t exactly constitute a “light” meal. May need to hit up a few more yoga sessions before returning, but I shall definitely be returning soon. This loaf is the size of Sara Lee pound cake, which I also am able to eat in one sitting… the Honey Hush Cornbread at Dinosaur Bar-B-Que is still my reigning favorite, but this is a very close second. 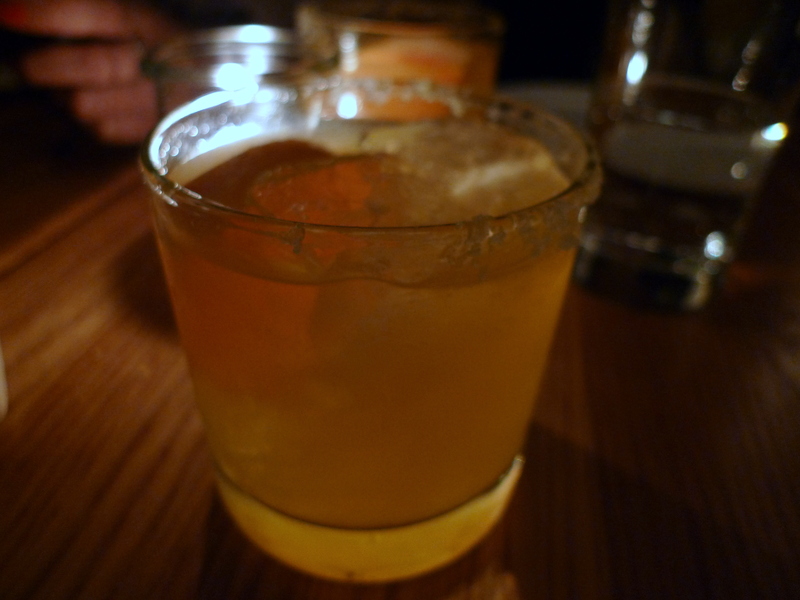 We skipped the Firsts… will have to come back to try some of the those! Very nice post. I just stumbled upon your weblog and wanted to say that I’ve truly loved browsing your weblog posts. After all I will be subscribing for your rss feed and I’m hoping you write again soon!